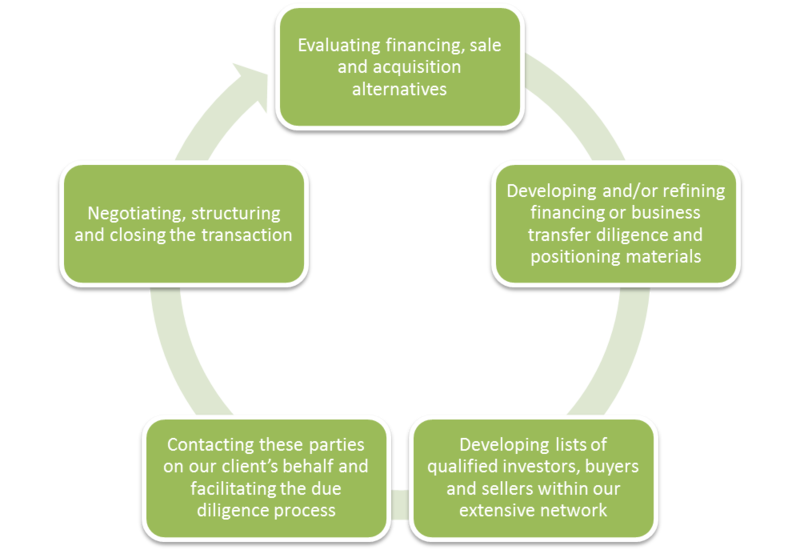 Our process for finding and securing the right buyers or investors for our Clients' businesses is based on vast experience and expertise, supported by our proprietary owned research databases, and includes a variety of solutions depending on the growth stage of our Clients. These entrepreneurs stay focused on growing their Ventures to the next level, while Ventures4Growth brings in corporate money, additional or new equity partners to empower these growth transitions.Our process for finding and securing the right buyers or investors for our Clients' businesses is based on vast experience and expertise, supported by our proprietary owned research databases, and includes a variety of solutions depending on the growth stage of our Clients. These entrepreneurs stay focused on growing their Ventures to the next level, while Ventures4Growth brings in corporate money, additional or new equity partners to empower these growth transitions.